Chartwells Catering Form now in UShop – Campus Orders no longer necessary! Effective July 1, 2017, Chartwells will no longer accept paper campus orders as payment for catering services. As part of our overall objectives to move away from paper-based processes, we have partnered with Chartwells to design a paperless UShop solution for catered food orders that will increase efficiencies for both Chartwells and the University. Obtain the CaterTrax invoice number. Fill in a few simple details about the purchase and submit the form in UShop. Chartwells will invoice against the PO that’s been created. *Note: Chartwells will invoice your department only after the event has taken place. Chartwells Walk-In Dining Form now in UShop – Campus Orders no longer necessary! Effective July 1, 2017, Chartwells will no longer accept paper campus orders as payment at their walk-in dining locations. 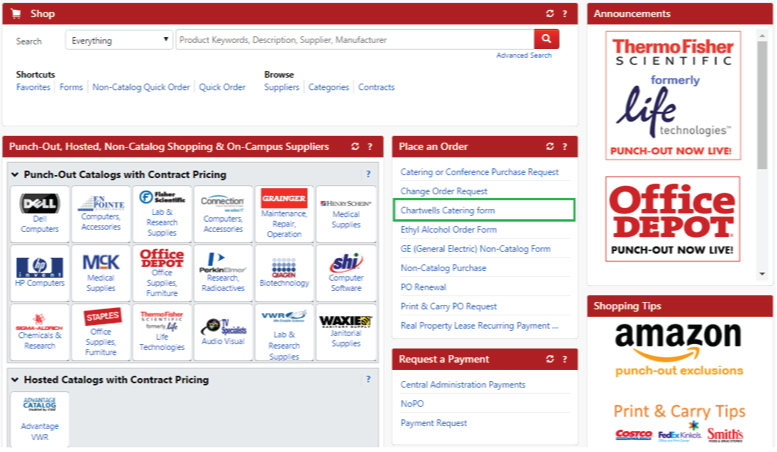 We have partnered with Chartwells to design a solution within UShop for food purchases that will increase efficiencies for both Chartwells and the University. Fill in a few simple details about the purchase, including an estimated dollar amount, and submit the form in UShop. 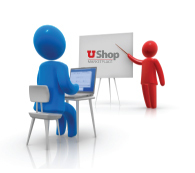 Print a copy of the UShop PO and bring it with you in lieu of a paper campus order. Chartwells will invoice against the PO, for the actual amount of the meal. New to UShop? Click here for basic training and info!